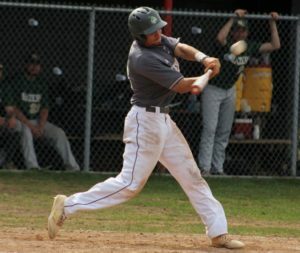 After an impressive 27 win season in 2018, the Lesley University Men’s baseball team is looking forward to another good year. The 2019 season will bring in some new changes in the conference and add some new faces to the team. After 4 years of coaching with the Lynx, Head Coach Billy Cather resigned and took a job at Clark University in his home town of Worcester MA. The Assistant Coach Tony Aninno will step in as head coach, and will keep Joe Muratore on staff as an assistant. The 2018 baseball season ended with an 8-5 loss to Mitchell College in the conference championship, in a game the Lynx were winning 3-2 in the 5th inning. The team is returning 7 of 9 starters from opening day last year, while leaving behind Tom Muratore and JP Agiorgousis, who both graduated. The NECC, has also gone through some changes this off season. With the addition of Dean last year, they added Eastern Nazarene and New England College this year. One of the most feared bats in the NECC, Ryan Pumphret, will be returning for his senior year after receiving NECC-first team honors in 2018. Last year he averaged .387 at the plate which included 48 hits, 12 doubles and 7 home runs. Along with Pumphret, Will Rhone will also be returning; he received NECC second team honors at second base, but possibly will play at a new position, center field. With past experience in the outfield in the 2017 season, Rhone thinks he will be just fine out there. He states, “I will run through a wall for this team.” In a 2017 regional game against RIT, Rhone made one of the best plays all year in right field, when a deep fly ball was hit to the right center gap, causing Rhone to leap back towards the wall, making the catch and tumbling into the warning track dirt, potentially saving the game. The Lynx also added junior transfer Javi Martinez to their lineup, from Newbury, where he received rookie of the year honors. In a season where the Lesley baseball team is short on pitching, Javi’s addition to the lineup can hopefully make up for the lack of experience on the mound. Last season Javi hit .366 with 4 home runs and 30 RBIs. A lot of Lesley’s success in 2018 came from pitching and defense. Nic Ferragine, Vin Taliercio and Will Rhone, Lesley’s starting shortstop, third baseman, and second baseman, all put up fielding percentages over .920, helping Lesley stay in a lot of their close games. With a defense that was ranked number 2 in the Nation, and a pitching staff that was 22nd in ERA, this season might come down to what the Lynx can do on the offensive side. There will be a few lineup changes this year, losing center fielder JP Agiorgousis, and adding Javi Martinez. The Lynx bats are going to have to come up big, especially with such a young cast in the bullpen. The only senior and Captain Dan O’Donnell logged the second most innings last year behind Pablo Casas and Brett Dabrowski, with 19. He will be looking to have more of a starting pitching role this year and should be the main candidate. In his 19 innings, he had an era of only .093 with 17 strikeouts and only 2 walks. The NECC preseason poll has not been officially announced thus far; but I can assure you after making the conference championship two years in a row, the Lynx should be high up on that list.